Jelly Belly dares the bravest candy lovers, pop culture enthusiasts, and foodies to try their luck with look-alike pairs of jelly bean flavours. Each colour is either a delicious flavour or a wild one. Is it tasty Berry Blue, or Toothpaste flavour? Is that Tutti-Fruitti, or Stinky Socks? There’s only one way to find out! 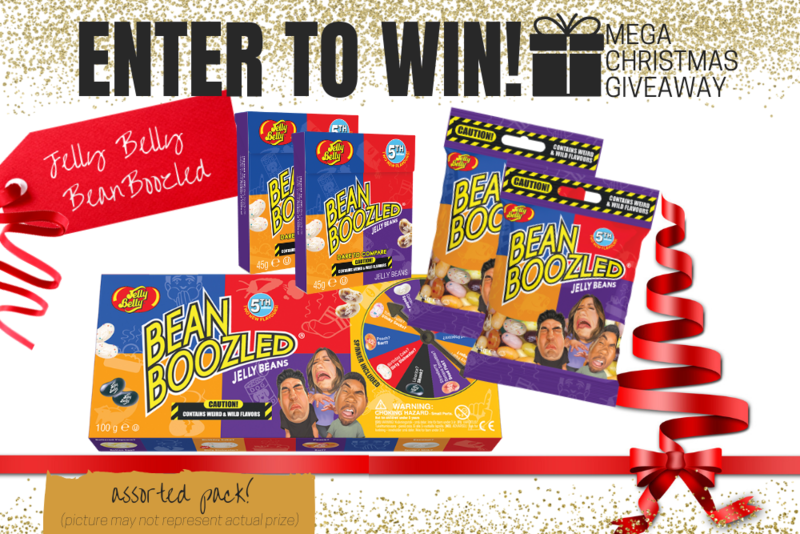 BeanBoozled 5th Edition includes 20 flavours of jelly beans: 10 are weird and wild flavours that look identical to 10 classic and delicious flavours. 1. **Jelly Belly BeanBoozled Spinner Box 100g plus refill packs. Total Prize Value $45.00 (approx)** AUD (the "Prize"). 2. It is the responsibility of the winner to collect the Prize within 7 days of the end of the Competition Period from the Promoter’s Mornington office. 3. The Prize, or any part thereof, must be accepted as awarded and is non-negotiable, non-transferable to another person and non-convertible and is not transferable for cash. 4. The prize must be collected from the Promotors Mornington Office, unless otherwise advised.